Jabra makes life sound better by developing intelligent audio solutions that transform lives through the power of sound, enabling you to hear more, do more & be more than you ever thought possible. We develop an award winning range of wireless headsets for mobile users and both wireless and corded headsets for contact centers and office-based users. With 146 years of experience we are specialists in audio and communications technology and have unrivalled understanding of high quality sound in all its forms - from conversation to music. Jabra is a pioneering innovator of new sound experiences from wired to wireless. Your all-in-one training solution with a built-in heart rate monitor. Made towards US Military standards, it’s sure to withstand even the hardest workout. Get immersive sound and real-time voice coaching that helps you reach your goals. Cut the wires and enjoy true freedom of movement. Understanding your heart rate is as simple as putting on your headphones. The built-in heart rate monitoring technology measures your heart rate via your inner ear. Jabra Sport Pulse delivers clinical-grade accuracy and ensures that you are always training at the right intensity level to improve your performance. Get rid of the surrounding noise at the gym and focus on your performance! With the new COMPLY™ foam ear tips you will get superior sound quality, passive noise cancellation and enhanced bass. Jabra Sport Pulse will make sure that your favorite playlist sounds better than ever and will maximize your music motivation. VO2 Max is a scientific way to measure your absolute fitness. It describes the maximum rate of oxygen that your body consumes during exercise, and helps determine your endurance level. Analyzing your VO2 Max levels can be used to enhance your performance. For instance, a 5% improvement in your VO2 Max score would typically cut 5 minutes off of your 10k run time! Read more about VO2 Max and how to improve performance here. Limited 3-year warranty against failure from sweat. Registration via the Jabra Sport Life app is required. (By registering your product via the Jabra Sport Life app you are entitled to a special limited 3 year warranty against failure from perspiration). Reach your goals and train harder with Jabra Sport Pulse Headphones! I love working out and one of my most necessary and beneficial things for my workout is a really good pair of headphones. The Jabra Sport Pulse Headphones are absolutely amazing! They have incredible bass which is a must for me as a runner. A good bass really helps you amp up your workout but if that isn't enough the Jabra Sport Pulse Headphones have a built-in heart rate monitor and automatic VO2 Max tracking. The VO2 Max tracking is a scientific way to measure your absolute fitness. It describes the maximum rate of oxygen that your body consumes during exercise, and helps determine your endurance level. It's an amazing tool for training and I absolutely love it! 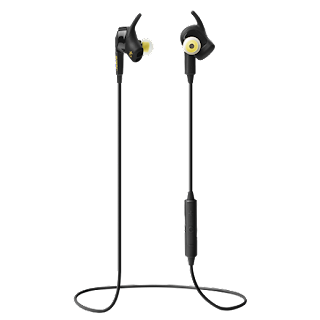 The Jabra Sport Pulse Headphones fit comfortably in my ears and they stay in while I run and workout. 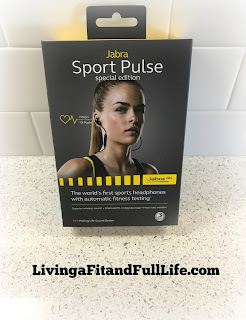 The Jabra Sport Pulse Headphones are absolutely incredible and I highly recommend them! 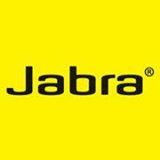 Click HERE to find a store near you that sells Jabra! Click HERE to learn more about Jabra! Follow Jabra on social media!